Catcote Futures Lifelong Learners are a group of young adults from Hartlepool and the surrounding area who have chosen to continue to develop their skills in preparation for adult life. Every lifelong learner has the opportunity to continue to develop their skills in independent living, employability, community involvement and good health through a personalised study programme based on their interests and needs. Some students choose to have a study programme based around developing their social, health and wellbeing opportunities. These programmes are planned around our more creative and therapeutic sessions. 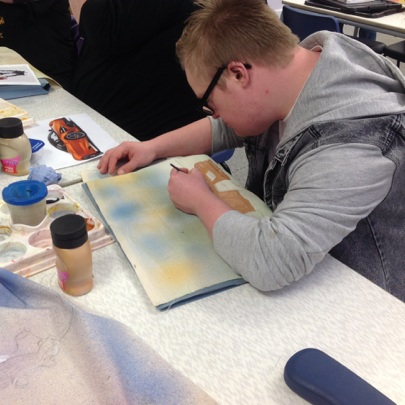 Students have opportunities to choose from art, textiles, photography, crafts, pottery, enterprise, jacuzzi, gym, sensory, relaxation, hair and beauty and social activities. How many days do I attend? Catcote Futures Study programmes are designed to be flexible to meet the needs of individual students. Some students attend for the full five days each week, from 9am till 3pm. Other’s attend for just half day or full day sessions dependent on what they have included in their study programme.